NCERT books have been developed after years of thorough research by experts from the field of child pedagogue, hence NCERT books are undoubtedly the best textbook material available for the school going students.The books have been designed based upon the latest NCF guidelines and adhere to the latest governmental guidelines prescribed by the MHRD. To score well in examination, students should consider NCERT books as the main textbook for studying and should study each and every topic taught in the book.Since, CBSE curriculum strictly follows NCERT books, the book provides the specific explanation of every concept of all the units under CBSE syllabus. Study’n’learn brings you a free download of NCERT textbooks for CBSE class 12 students that include NCERT books for all the subjects as available online.To download the books, click on the hyperlinks below. The books are available in the PDF format for reading. 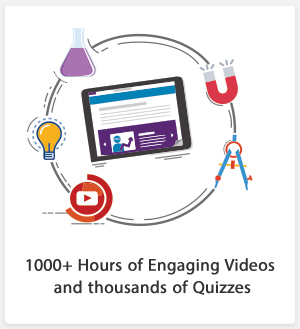 It is a fantastic learning app.I am using it from one month and it has cleared most of my doubts about the concepts. It has made me to understand all the things. Studynlearn app is best for science Student. This is great platform for students. Here you can learn maths biology and many subject. This app is good for exam time. Students can watch this during exam and and get good score in exam. Studynlearn features and layout of the app is very good. Videos are very nice animated which help to understand concept very easily. It a best the learning app I ever seen I already install this in my phone and use it when I need Their teacher are too good they teach very nicely.it so good they teach step by step. Studynlearn is really meant for those who seek knowledge and want to learn , understand the topics well. Their teaching method is awesome! Everything is taught visually so that you can remember and understand better. It is good learning app for children's for science and Mathematics. Here the concept is clear and brief. If we have any doubt there are some mentor we can chat and clear our doubt . Thousands of students have witnessed a radical change in their learning habits. 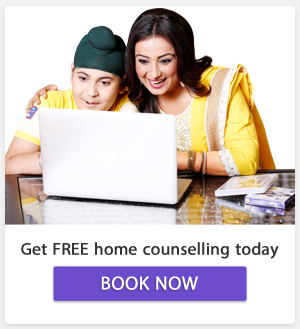 To experience the change, Book a Home Counselling Session Today. Founded by the alumni of DCE, SmartSchool Education Pvt Ltd is an eLearning Company Headquartered in Delhi. Brainchild of people from IIT, IIM and DCE – Innovation through technology forms the core DNA of the company. © 2019 Studynlearn. All rights reserved.